I plan to continue teaching with the use of technology in the classroom as my focus. I have learned how to use so many tools and programs over the last 10 months and I would like the opportunity to share these tools and programs with my students and my 4th and 5th grade team. I, also, plan to continue using the station- rotation and flipped classroom models of blended learning and to explore the use of other blended learning models. Although the program has come to an end, this is only the beginning of my innovative journey. I have found the piece, Blended Learning, to engage my students toward success! Thank you Napa Learns. I appreciate your monetary support throughout this innovative journey! Your generosity allowed me to meet my master's goal earlier then planned. 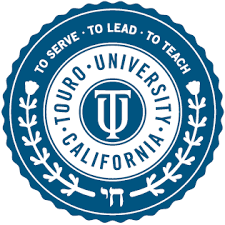 Thank you Touro University and your knowledgeable professors for your guidance throughout the program. Thank you Cohort 9. I felt supported by you throughout this journey. I am honored to have had the opportunity to learn with you and from you throughout this innovative journey!